Should researchers try a new approach? This year 565,000 Americans are expected to die of cancer, while 1.2 million will be newly diagnosed with the disease. 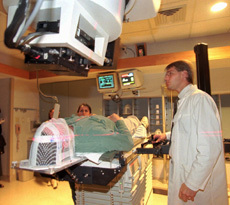 The National Cancer Institute projects that, within five years, cancer will pass heart disease as the nation's No. 1 killer. Yet usually cautious researchers are optimistic they finally may be able to delay, if not always prevent, the spread of malignant cells. Encouraging lab results stemming from $30 billion of publicly funded research carried out since the early 1970s are yielding new insights into the biological underpinnings of the disease. That isn't enough for critics, who say the war on cancer has produced many treatments that looked promising but fizzled. They support spending more money on cancer prevention instead of cures.